Some Vitamix models in Canada have different names than in the U.S. Even within the U.S., Vitamix model names can be confusing, so I made a comparison page that explains the similarities and differences. 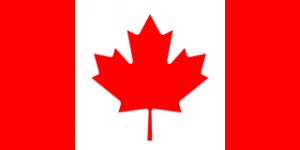 If you are shopping in Canada (or another country outside the U.S.), you can use this page to understand the additional names and to help find the best price. In case it is unclear, the pricing on vitamix.com/ca/ is in Canadian dollars. Vitamix ships to Canada from their Canadian headquarters in Windsor, Ontario. 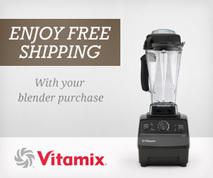 Shipping is free if you click one of the Vitamix links from this site. Here are my quick recommendations for buying a Vitamix in Canada. The Explorian E310 is Vitamix’s new entry-level machine. It comes with a short 48-oz container, which is a nice convenient size, as long as you don’t require the larger 64-oz capacity of other Vitamix machines. Here’s my full review of the E310. Reconditioned Vitamix units are a great value, as they are significantly discounted, and they are guaranteed to be as good as new. The Certified Reconditioned 5300 comes with the short and wide container, while the Certified Reconditioned Standard and Standard Programs come with the classic tall and narrow container. Meanwhile, the Certified Reconditioned A2500 and the Certified Reconditioned A3500 offer a premium side to the value options. The non-Ascent models are still perfectly good, but if you’re buying new now, I think Ascent models are a better value. You can read more about them on my Ascent Series Review. Canadian Vitamix model names not sold in the U.S. These are the Canadian models with names not used in the U.S. Each of these models is functionally equivalent to an analogous U.S. model. If you want to learn more details about the features of these machines, you can find their U.S. counterparts on my Vitamix comparison page. Of the models listed on Vitamix.com/ca, I would recommend avoiding the Aspire models. As mentioned below, they come with a 5-year warranty instead of 7 years, and their prices are similar to the non-Aspire models. The Vitamix Total Nutrition Center is the same as the 5200, which means it is a C-Series model that comes with a variable speed knob. The Vitamix Aspire models are also the same as the 5200, the most significant difference is that they were originally branded for The Shopping Channel, and as part of pricing agreements they come with a 5-year warranty instead of the standard 7 years on other new Vitamix models. (In the U.S. the Creations models have a similar story—they are branded for QVC, and they come with 5-year warranties.) There are various Aspire packages that come with different combinations of the 64-oz and or 48-oz Vitamix containers (and some with the 32-oz dry container). The Vitamix Total Nutrition Center 3 is the same as the Professional Series 500 and the 6300, which means that it is a C-Series model with variable speed control and three preset settings (smoothie, frozen, and soup), plus a pulse switch. For more recently released models, it appears that Vitamix has stopped giving them unique names outside the U.S. I see the S30, S55, Pro 200, Pro 500, 7500, and Pro 750 all listed on Vitamix.com/ca. I hope this page helps clear up confusion about the Vitamix Canada Total Nutrition Center, Aspire, and Total Nutrition Center 3, as well as the full range of other Vitamix models now available in Canada. If you have any further questions, please do not hesitate to comment below. in Canada, the 5300 reconditioned is now 399 while supplies last! I used your coupon code just now to get free shipping! Your reviews were helpful! Awesome! Thanks for using my code, and thanks for the heads-up. I hadn’t seen that yet—I think it went in to effect early this morning. Thank you for the detailed reviews of the various Vitamix blenders. I was persuaded to buy the reconditioned 5300 currently $399 in Canada. The free shipping was an added bonus! Wow – what a helpful site! I’ve been thinking about buying a Vitamix for a while now, but was unsure of what model to get and whether I could justify the cost. Your recommendations were clear and made me feel confident in my decision (my blender is on the way)! Thanks for your help! I just checked, and it worked for me. Please try clicking again with a different browser. (If it’s too inconvenient to use a different browser, try incognito/private mode for a fresh browsing session.) Here’s a link that should apply the free shipping code. Please suggest which I should redeem points for. I will only have to pay the tax! The 3500 or 7500 Vitamix. I’m in Canada. Compare them, please and thank you. The A3500 has more features and is fancier. If you want more details, my Ascent Series review is basically a big comparison of all the new Ascent features compared to the Classic features. The only reason to go with the 7500 would be if you wanted to be able to use older containers that don’t have the Self-Detect system.